This entry was posted on Wednesday, August 8th, 2012 at 3:49 pm and is filed under General Blog, News, Science Fiction, Twisted Metal. You can follow any responses to this entry through the RSS 2.0 feed. You can leave a response, or trackback from your own site. Just surfed into your website to check out how 3rd Penrose book coming along. 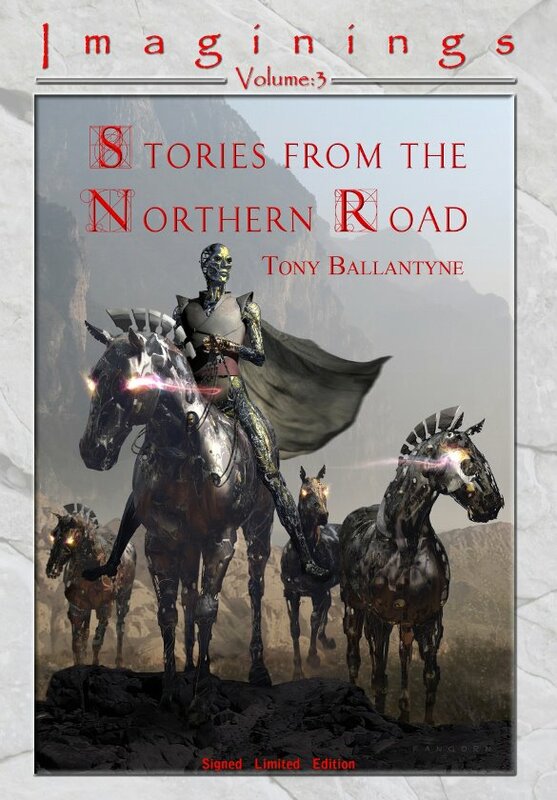 Saw stories from the northern road and just ordered it! How are you getting on with Penrose 3.0 ? I just got my copies of Stories from the Northern Road delivered. They’ve done a great job on them! Yay. Do you know when they will be sent out to the public? Tony! How goes Penrose 3? I see you are working upon other projects at the moment; please tell me that you haven’t given up on it! It has been too long since I have had any new news from that awesome world you built.